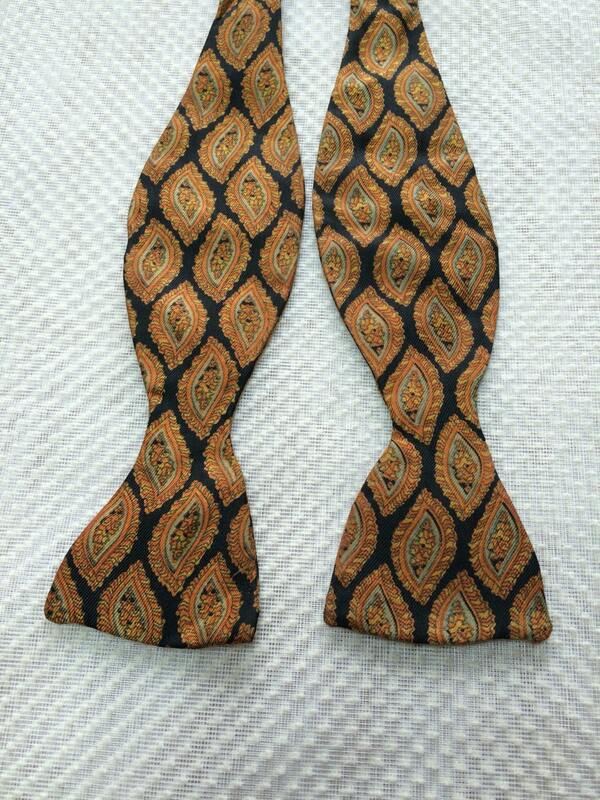 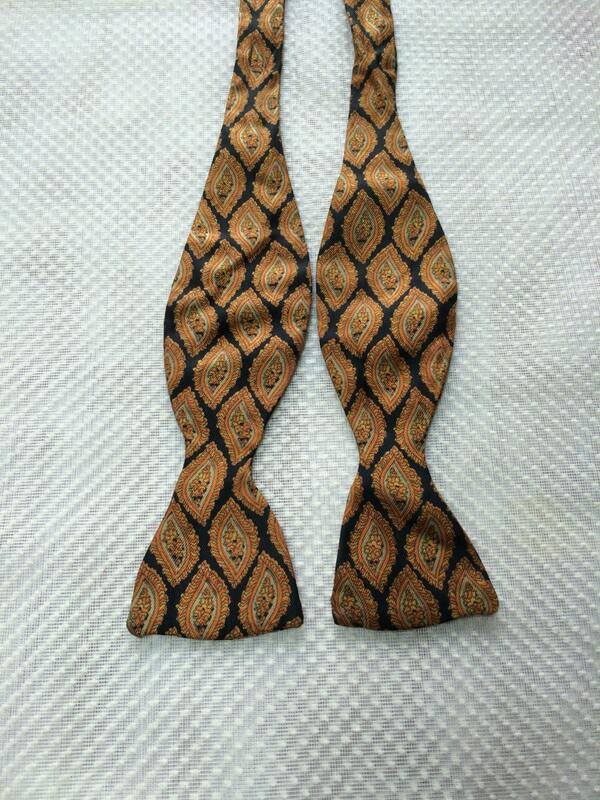 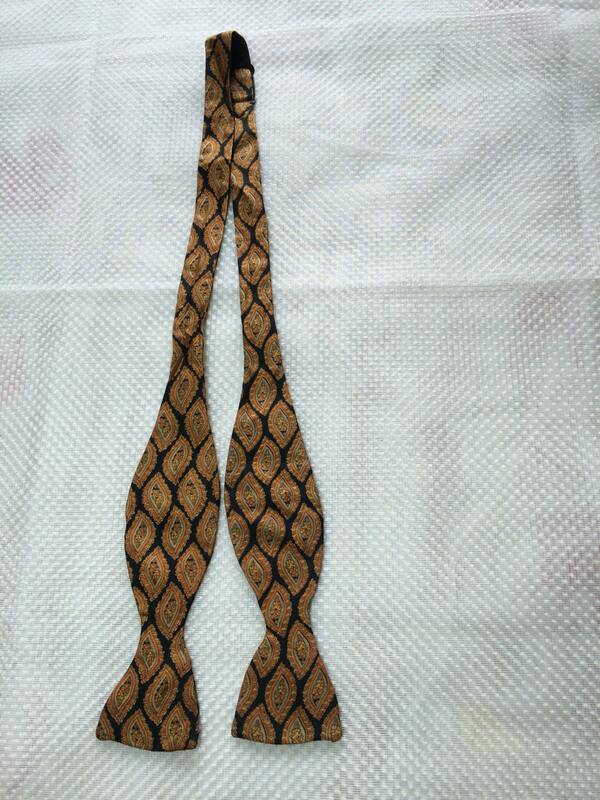 Here's an adjustible silk bowtie from the 1960's. 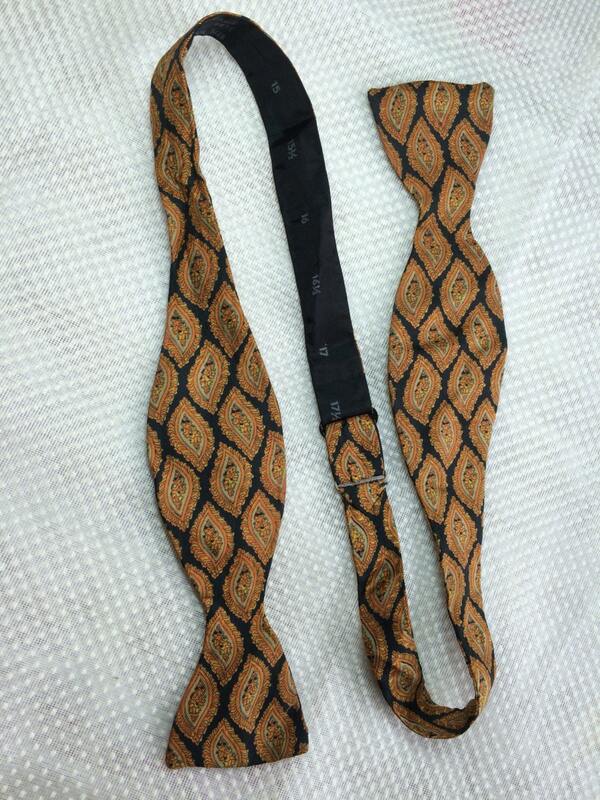 It's in excellent, very used condition. 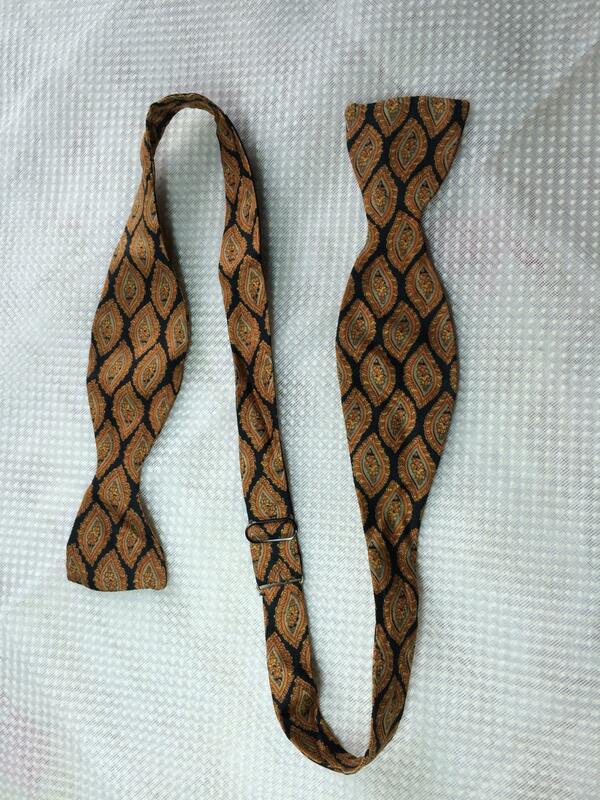 2" at the widest part of the tie.